The rising need for information technology for every industrial vertical in order to ensure effective functioning and growth is one of the major factors projected to augment the growth of the global industrial wire line networking market over the next few years. With networking, industries are expected to experience effective management and integrated security, which is likely to help them in effective functioning. The growing awareness regarding the benefits of industrial wire line networking is estimated to accelerate the growth of the overall market in the coming years. Among the key product types, namely wire line networking and wireless networking, the latter is considered as comparatively expensive, owing to which the global industrial wire line networking market is estimated to witness strong growth in the near future. A substantial rise in the number of broadband service providers and advancements in technology are the key factors that are likely to enhance the overall development of the market in the coming years. Furthermore, with the adoption of industrial wire line networking, the cost of managing the network is reduced significantly, which is likely to act as a major factor escalating the growth of the market. The presence of a large number of players in developed economies such as Europe and North America is estimated to witness high growth in the near future. In addition, the availability of advanced IT infrastructure and the increasing level of competition among the leading players are projected to stimulate the growth of the global market in the next few years. Information technology is essential for nearly every industry for their proper functioning and prosperity. Industrial wire line networking refers to IT networks designed to handle heavy loads of inter-connectivity across enterprises and industrial equipment. Basically of two type, wireless and wire line, these networks enable better manageability and integrated security and are able to handle huge volume of data, although they cannot function without a support of reliable and robust wire line network. Since wire line networking are fairly easier to implement as opposed to wireless networking and also meet the industrial networking demands in an efficient way, the global market for the same is projected for a robust growth rate during the forecast period of 2017 to 2025. This report on global industrial wire line networking market is a comprehensive study of the current scenario and offers a figurative estimations of the opportunities based on several factors that are expected to influence the demand in near future. This market can be segmented into interconnect products, network management software, and networking components. The interconnect products can be further sub-segmented into connectors, testing devices, printed circuit test points, battery contacts, and jumpers, while networking components can be divided into electrical networks, optical networks, and combined networks. The market can also be segmented on the basis of end-user industries, which includes food and beverage, automotive, oil and gas, refining and wastewater, and petrochemical. Owing to fact that installation of fiber optic cables is considerably less expensive in comparison to copper cables, and rapid increment in broadband service providers, the demand in global industrial wire line networking has escalated. These interconnections assists decision makers in providing real time data and information for taking strategic decisions, thereby contributing to the growth of this market. Another factor favoring the growth rate is the reduced cost of managing the networks while it connects different systems, machinery, equipment, and devices within the industrial operations. The rising use of Ethernet which enhances interoperability among the industrial systems at lowered costs is also contributing to the growth of this market. Rapid innovations in the field of wire line networks to expand their use and accommodate increasing traffic are also driving the growth of global industrial networking market. However, compatibility with the existing systems in an organization and the ongoing costs incurred to accommodate increasing traffic are some of the major barriers affecting the growth of industrial wire line networking market. 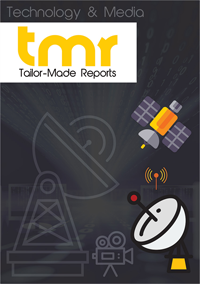 Geographically, the report segments the global industrial wire line networking market into North America, Europe, Asia Pacific, and rest of the world. Currently, North America serves the maximum demand due to the robust budget of the organizations. However, several emerging economies in Asia Pacific, such as China, India, Japan, and Malaysia, are aggressively investing in improving their IT infrastructure and several multi-national companies have set up their organizations in these countries. This will lead to increased demand coming from Asia Pacific during the forecast period. Some of the major players in the industrial wire line networking market are Alcatel-Lucent, Huawei Technologies Co. Ltd., Cisco Systems, Inc., Ericsson, Juniper Networks Inc., Nortel Networks Corporation, Hewlett-Packard Company, and ZTE Corporation.